Here is my latest model. 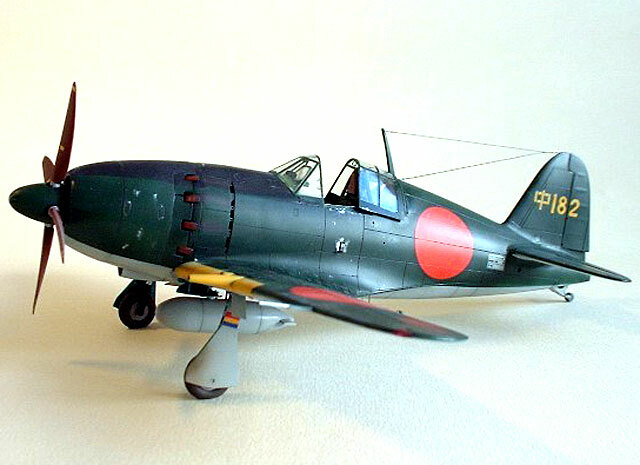 It is the Hasegawa 1/48 Mitsubishi J2M5 Raiden model 33 (Jack). 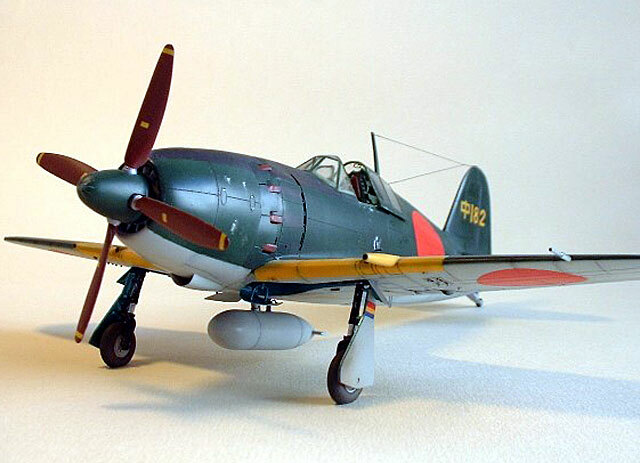 The aircraft was equipped with two Shiki Type 5 30mm guns and two 20mm guns instead of the classic 4x20mm guns armament. 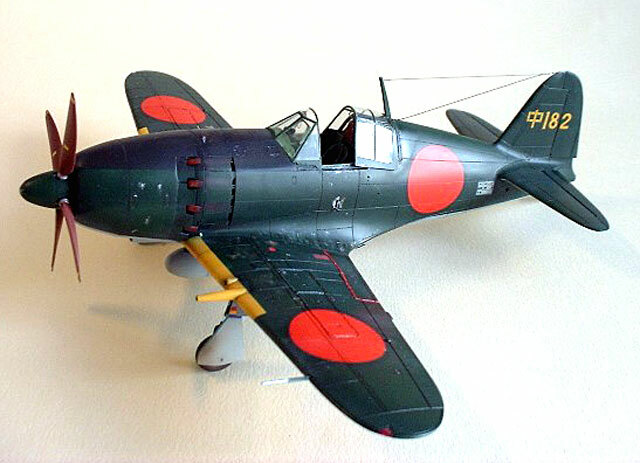 The aircraft belonged to Chyusi Flying Group in 1945 based in Japan. I have only added Eduard photoetched set inside and scratchbuilt the engine flaps with styrene card, opened the steps on the left side of the fuselage and replaced the feeding tubes of the external fuel tank and the landing gear brake lines with fine wire of different thickness. 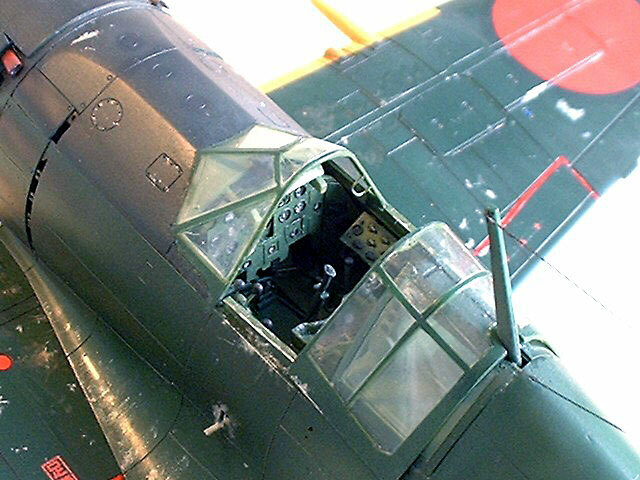 The original canopy was cut to be open and I've added a scratchbuilt headrest which is missing in the kit. The model was painted with Gunze acrylics.